There are twelve spots in each row at D, G, and I.
Twelve (12) parking spaces are located in Row I.
Terminal Direct fees apply. Extended Stay Parking Travelers may leave their vehicles for extended periods. 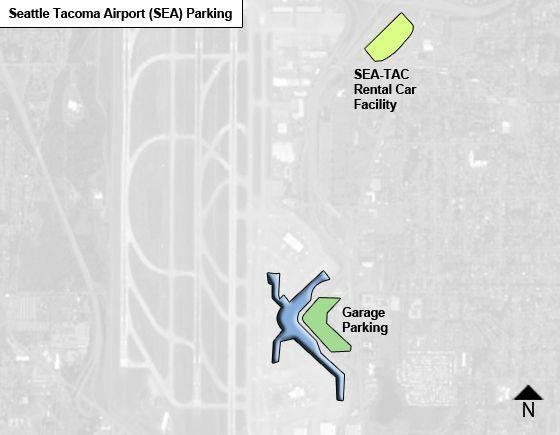 Travelers parking for more than 30 days must make special arrangements through the Airport's Public Parking Office, (206) 787-5308. Without these arrangements, the vehicle may be considered abandoned and could be towed at the owner's expense. Over-height Parking The height limit for vehicles entering the Airport Garage is 6’10.” Vehicles above that limit should park in Over-Height Vehicle Parking. You can access this parking area via Highway 99 / International Blvd. from the north or south. Follow the signs marked "Over-height Parking" from the Airport Expressway. At the entry plaza, use the open lane on the far right and take a ticket from the machine. Thanks EJ just what I was looking for!